Yes. I want to be transformed! 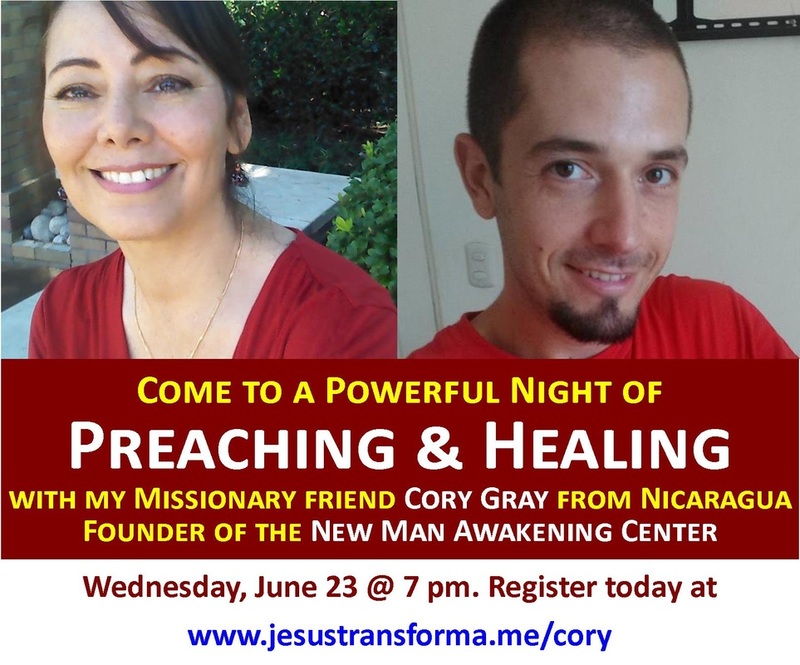 Join us this Thursday, June 23rd, 2016 at 7 pm (CST) and be transformed with Cory Gray. I will be introducing Cory Gray, the author of Warriors for Christ, missionary in Nicaragua where he is the founder of the New Man Awakening Center, and my dear brother in Christ, coming to Dallas for the first time. Cory will be preaching on how to be successful in life through Christ. He will teach on how God desires to help you achieve your destiny and change this world with that special gift that only you have to give! Let your friends know and I promise God will call the "gold" He planted in you -- expect miracles to take place in your life! Cost: Suggested donation $10 per person. Proceeds also support Cory's New Man Awakening Center in Nicaragua.